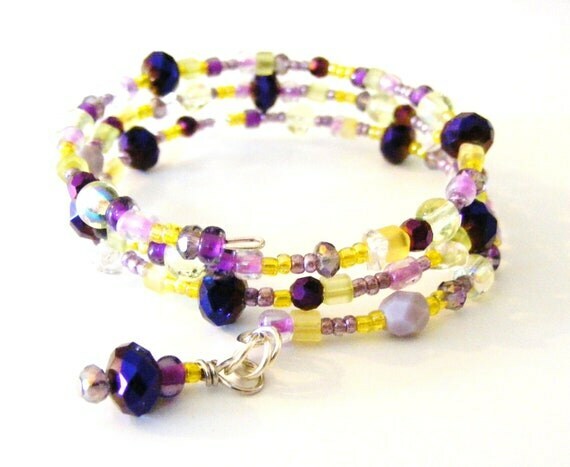 This bracelet is made with a wonderful collection of glass beads in shades of purple and yellow. This bracelet also has a brightly colored glass bead charm. Memory Wrap bracelets are so comfortable and fun to wear. They are light weight and always keep their shape. Please convo me if you have questions. Folksy :: Buy "Memory bracelet "Violet""